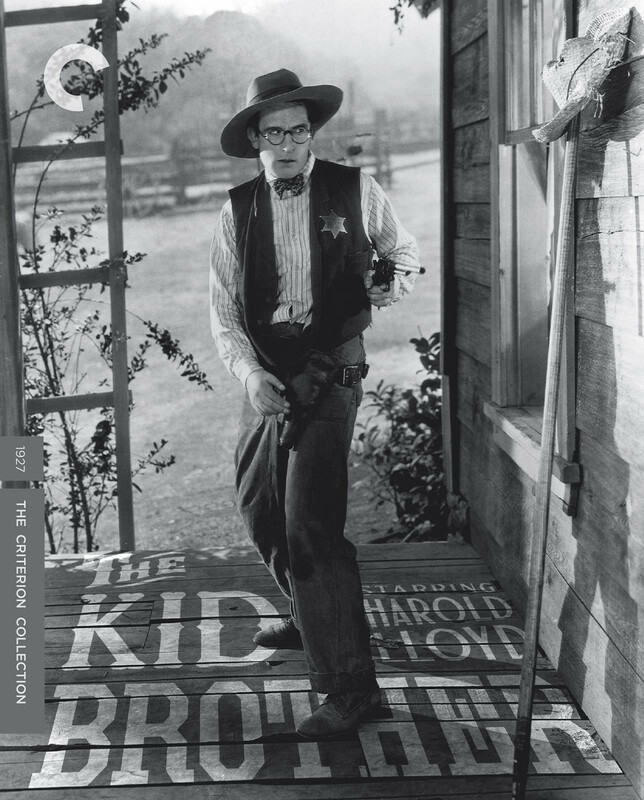 It’s time to celebrate the wonderful new Blu-ray release of Harold Lloyd’s classic comedy The Kid Brother by the Criterion Collection. Considered by many to be Lloyd’s masterpiece, this release is simply stunning, a beautiful clear crisp print, a choice between Carl Davis’s stirring orchestral score and the theater organ score recorded by Lloyd’s friend Gaylord Carter, and an abundance of fascinating bonus programs, including my own visual essay Close to Home. Close to Home looks at the many filming locations, including exteriors staged at the historic Lasky Ranch in Burbank, revealing how Lloyd filmed this seemingly remote production within a few miles of his Hollywood studio, while also focusing on Lloyd’s personal home life, and the movie’s domestic themes that had never before played such a role in Lloyd’s films. To begin, I want to honor Richard Simonton, Jr., who contributes a bonus program of behind the scenes photos and photos of deleted scenes. Richard’s father was one of Harold’s best friends, who regularly screened Lloyd’s films at their home theater, accompanied by Gaylord Carter on their home theater Wurlitzer organ, which Lloyd hired Gaylord to use to record scores for many of his films. 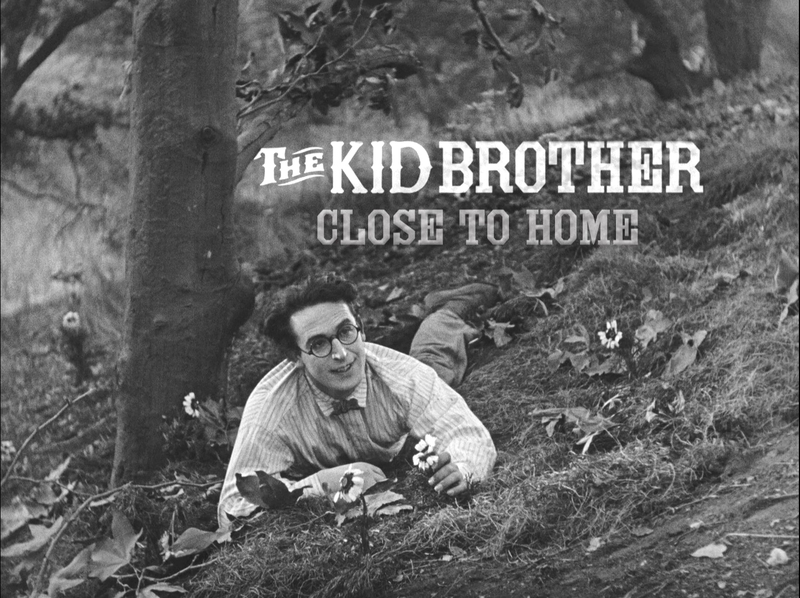 Richard Jr. and his brother Robert served as audio engineers for these recording sessions. 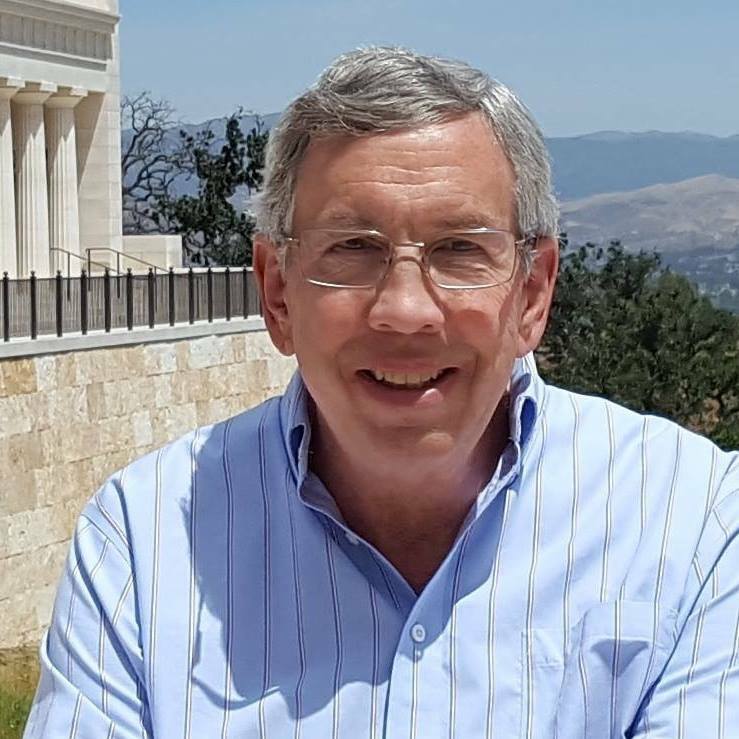 A veteran Disney Imagineer, Richard Jr. was also good friends with Lloyd, and among his many accomplishments, Richard was one of the principals who helped to establish the UCLA Film and Television Archive, and was instrumental in preserving much of Lloyd’s cinematic and photographic legacy. In 1973 Richard Jr. made a fine grain master positive print of The Kid Brother from the original camera negative shortly before the nitrate negative decomposed. Richard’s rescued print sat patiently in a vault for decades until it was scanned in 4K and digitally restored for this release. The movie looks amazing, for which we all owe Richard a tremendous debt of gratitude, not only here, but for all of the many other pre-1948 Paramount and Fox nitrate prints that found their way into the UCLA archives thanks to Richard’s efforts. This post covers only a few of the many new discoveries and details revealed in my program. The Kid Brother opens with this incredibly dramatic sunrise scene of a medicine show wagon lumbering along a fire trail on Catalina Island. A matte painting created the V-shaped ridge, and as we’ll see further below, it’s a special effect Lloyd used more than once. (Photo Daniel P. Hogan). The scuttled ship was the Palmyra, an old lumber ship that ran from Seattle to San Pedro for 50 years. Once part of the Spanish-era Rancho Providencia, the Lasky Ranch in Burbank lay nestled between the Los Angeles River and the hills of Griffith Park. Used as a movie ranch by Universal in 1912, producer Jesse Lasky leased the property for filming in 1918. Paramount built many outdoor sets here during the 1920s. Since Paramount was proudly releasing The Kid Brother, this is where Harold did most of the filming. As I report in a prior post, D.W. Griffith staged the Civil War battles scenes here for The Birth of a Nation (1915), and two massive oaks appearing in the film remain standing today. 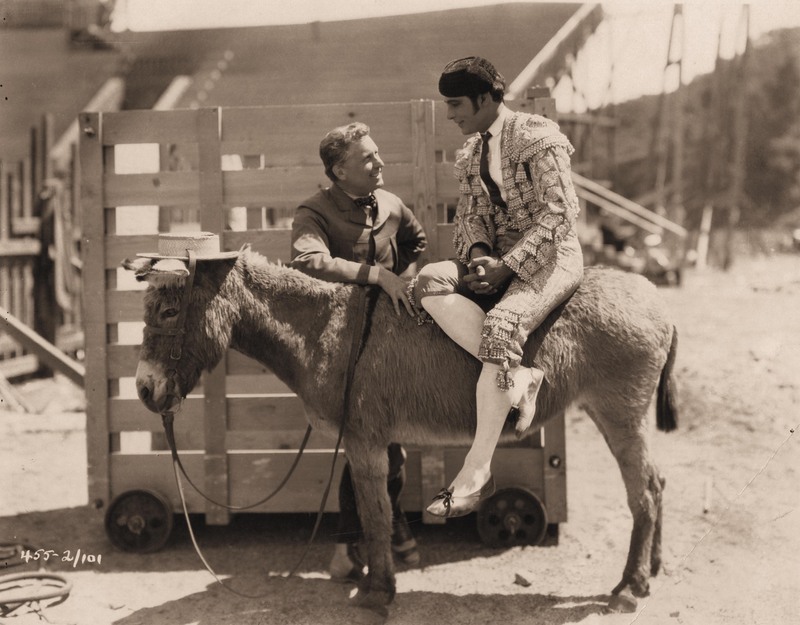 In my essay I show a wedge-shaped bullfighting ring (yellow box above) built for Paramount’s 1922 production of Blood and Sand (see inset of director Fred Niblo with Rudolph Valentino beside the set – Donna Hill) while a ranch home and barn set built for Paramount’s The Old Homestead (1922) directed by James Cruze (red box above) appear as the home and barn for Harold’s rival Hank Hooper (below). 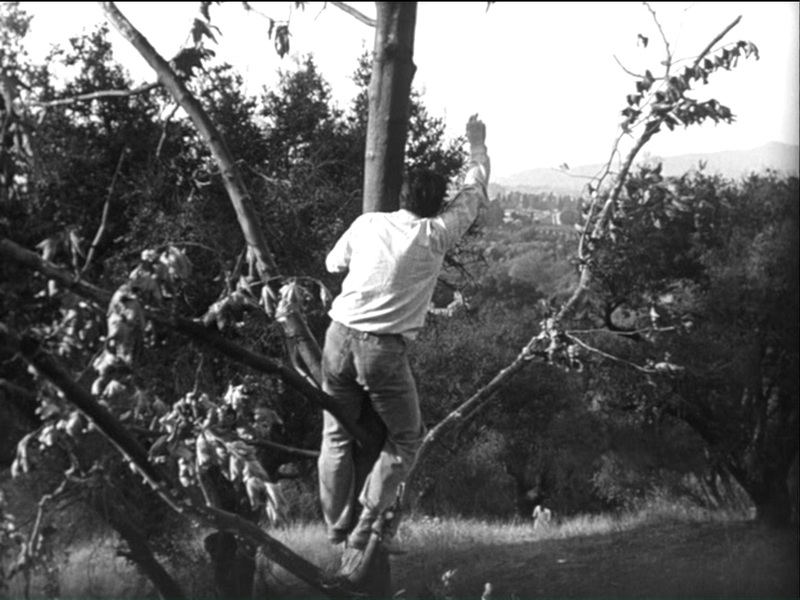 The touching scene where Harold climbs a tree to keep Jobyna in sight as she descends from a hilltop was staged on a hill (blue box on the above aerial) looking north towards the site of the Hooper farm. As I demonstrate in the essay, the future site of the Walt Disney Studios that opened in 1940 appears directly north behind Harold during this seemingly “remote” scene. Above, Harold races home to bring Sandoni (Constantine Romanoff) to justice. While the hills and fields of the Lasky Ranch have been graded, preserved now as peaceful cemetery grounds at Forest Lawn, there are moments when the mountain tops still realign with the past (Photo Paul Ayers). 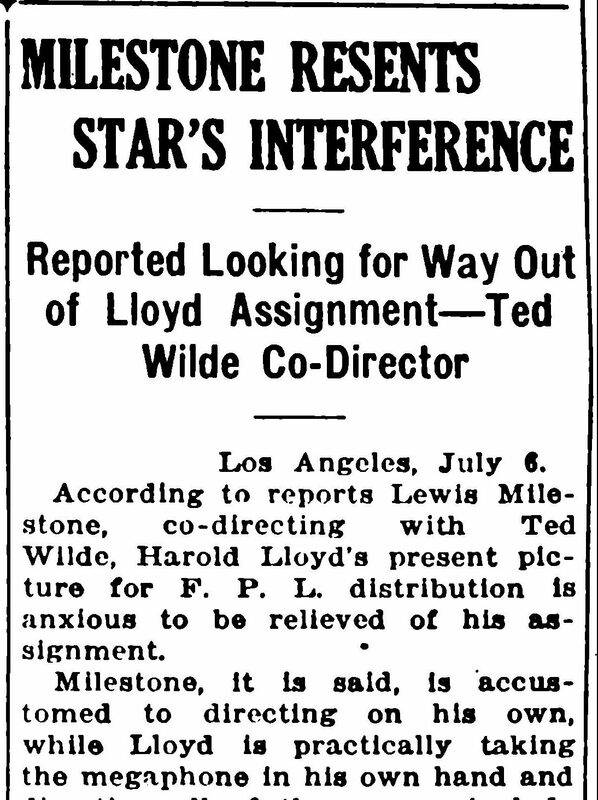 One of the many bonus supplements is the rarely seen early Lloyd short That’s Him (1918). I’ve identified nearly every shot in the film, and hope to post about it some day, but for now, here’s a taste. Above, these views show the SE corner of Ord and New High Street. 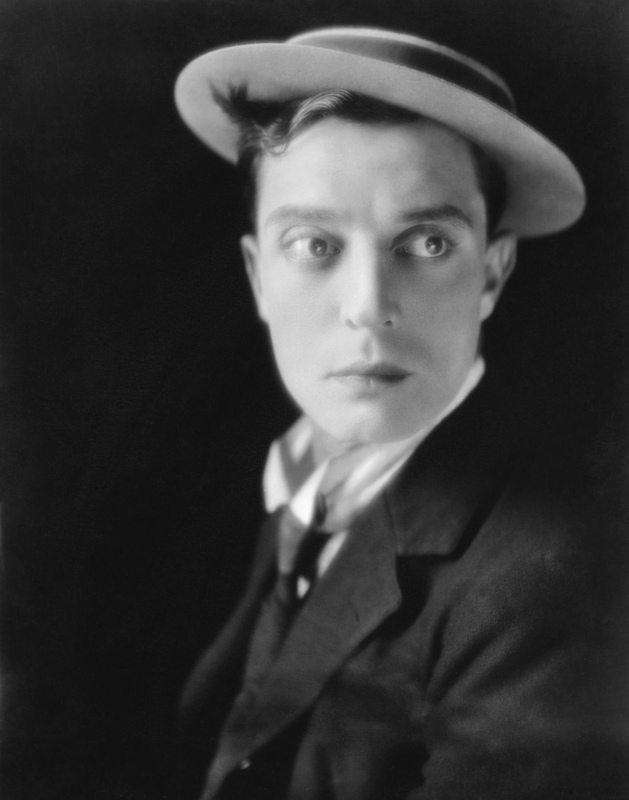 Lloyd later filmed scenes for From Hand to Mouth (1919) and For Heaven’s Sake (1926) at the SW corner across the street. LAPL. USC Digital Library. 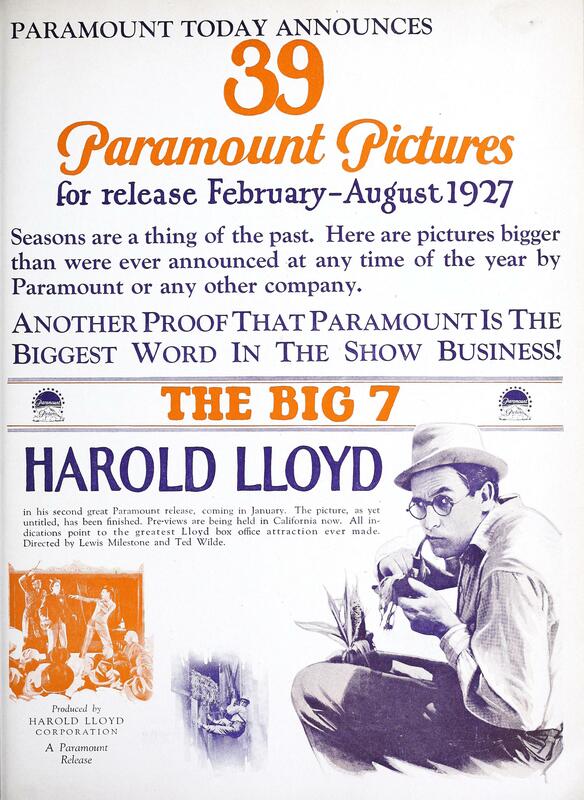 This entry was posted in Harold Lloyd and tagged Catalina Island, Forest Lawn, Harold Lloyd, Silent Comedians, Silent Comedies, Silent Movie Locations, The Kid Brother, then and now. Bookmark the permalink. 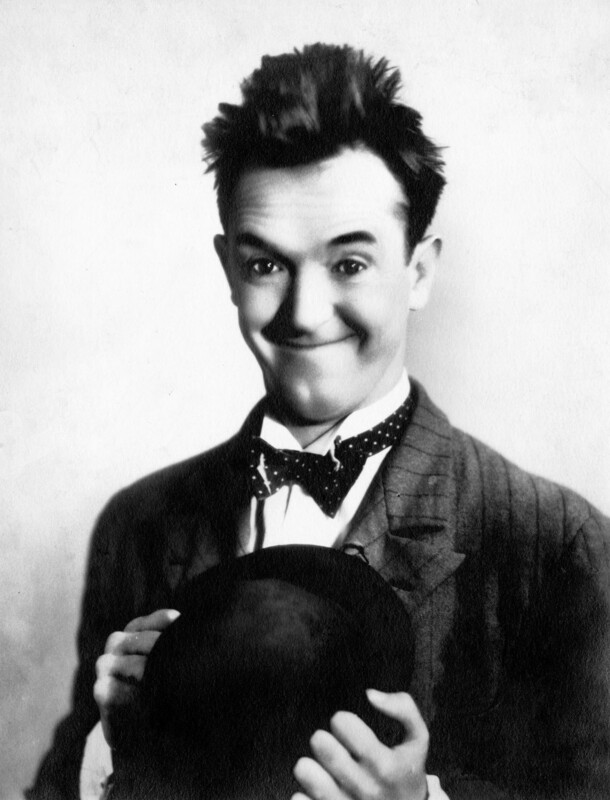 You writing and research brings the silent era alive for your readers! Another great one, John. Your detective skills are second to none. Great essay John, thanks for posting this! Sounds like I need to upgrade to the bluray from the Lloyd. Thanks for the great post, John! I can’t wait to see the new Blu-ray.